Mine (Gulcan Arslan) is a young and beautiful girl who has a modest life. Sinan (Hakan Kurtas), on the other hand, is a handsome guy who comes from a rich family. These two young lovers do not care about their different family backgrounds and want to live together in harmony for a long time. 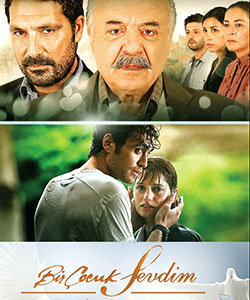 When Mine becomes pregnant from Sinan, their tender love story turns into a tragic love story. Both of their families disagree of their relationship. Sinan’s family does not tell Sinan that Mine is pregnant and send him to USA for his master’s degree. After her lover breaks their marriage promise, Mine becomes totally alone and tries to handle the emotional pain of her family by herself.